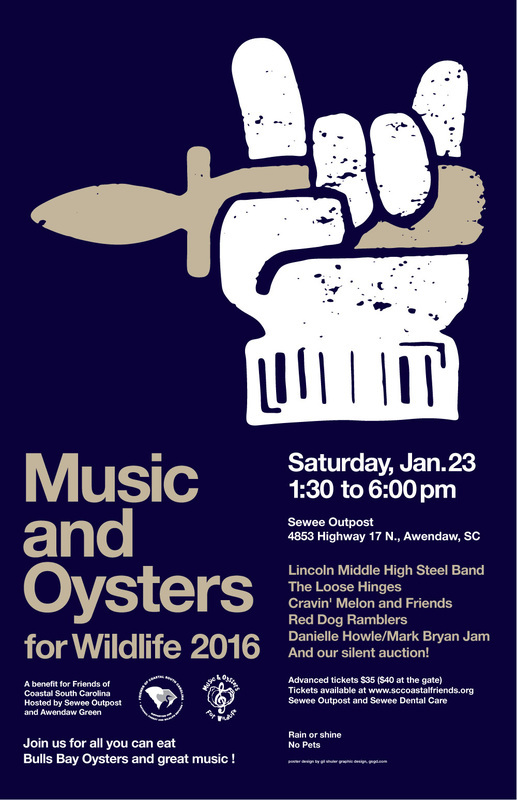 Join the Sewee Outpost and Awendaw Green for Music and Oysters for Wildlife, our annual benefit for Friends of Coastal South Carolina. Music features The Loose Hinges, Cravin' Melon and Friends, Red Dog Ramblers, and Danielle Howle/Mark Bryan Jam . All you can eat Bulls Bay oysters! Beer, wine, soft drinks, BBQ and burgers for purchase. Buy advance tickets HERE for $35. Tickets are $40 at the door.